In the last twenty-five years, women in music have made tremendous strides, building bodies of work that showcase the kind of empowerment, control and sexual bravado that would’ve been unimaginable just a few decades earlier. But for all their power and strength, they rarely manage to project intellect—the quality of being aware of themselves in context; of understanding not just who they are, but what they mean. Thankfully, we’re beginning to see some cracks in that particular glass ceiling. And one Chicago-native, female-fronted alt-rock band is most definitely doing its part. 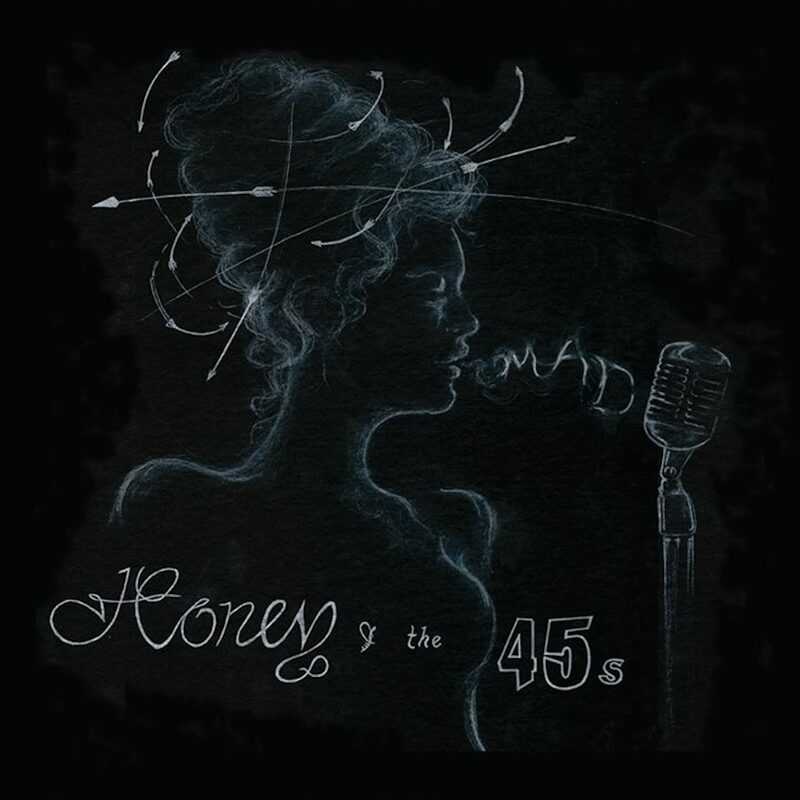 Honey & the 45s’ new EP, “Mad,” features seven songs that all turn standard love-and-longing narratives on their heads—starting with the title cut, which is a razor-sharp dissection of a woman’s attraction-repulsion complex, in the form of a long screed directed at the guy in the equation. “I hate that you know me, you know me so well,” sings front woman Kristina Cottone, “I hate that you caught me before I fell.” With lyrics like that, you know you’re in fairly literary hands. The rest of the tunes—all written by the band (which includes Jon Gould on guitar, Jarad Kleinstein on drums, Kim Kozel on violin and sax, and Sean Tatum on bass)—offer similar surprises, providing unexpected angles on points of view we only thought we knew. “Skinlovin’,” an erotically charged seduction tune about an adulterous coupling, twins the sizzling grind of the melody with a text that acknowledges the shabbiness of the situation: “Go on and scold me, I know you’re tired of tired eyes.” Throughout, the women portrayed in the songs are strong, assertive—and conflicted. It’s fresh, and it’s powerful. As whip-smart as the lyrics are, the music itself is even better. The British music critic David Quantick famously predicted “pop will eat itself” (and almost immediately had his point proven when the phrase was filched for a band name), but he couldn’t have predicted what a sumptuous meal it would make. Honey & the 45s combine the low-fi sonics of eighties punk, the gorgeous, rolling cadences of seventies R&B, and the infectious hooks of sixties pop. There’s even an interlude of straight-ahead, finger-poppin’ swing. And Cottone’s voice rides all the varied rhythms with confidence, sass and just the right touch of ironic sexiness. Smart girls, it’s clear, just plain do it better. “Mad” is available through the usual channels and on Honey & the 45s’ Bandcamp page. There’s one musical genre that’s always been ruled by wise, canny females. 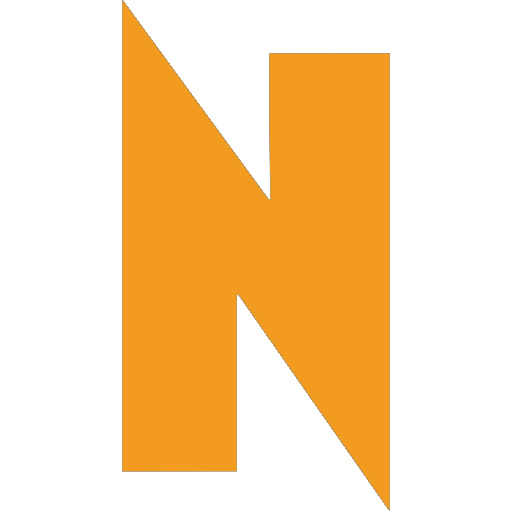 Jazz is the only arena in which women have had to be street-smart and quick-witted just to survive (men, too; it’s a gender-neutral meritocracy). You get a real sense of this when you listen to “You’re My Thrill,” the new CD by Chicago chanteuse Elaine Dame, which on the face of it is a collection of standards. But Dame’s interpretive gifts—which are through the roof—do what jazz is meant to do: turn these well-worn tunes into a revelatory, and often very witty, set of commentaries on each other. Every jazz artist knows that juxtaposition is key when building a set list, and this one is constructed like a roller-coaster ride over the radiant heights, and the devastated depths, of the landscape of modern romance. The ensemble—which includes Dennis Luxion on piano, Jon Deitemyer on drums, Andy Brown on guitar, Chris Madsen on sax, Art Davis on flugelhorn, Russ Phillips on trombone, and both Jim Cox and Jake Vinsel on bass—is more than up to the task; they provide tremendously sensitive, and occasionally bravura, solos throughout. But it’s Dame’s show, and she owns it like a champ. Her voice is capable of doing whatever she asks of it—from an extended staccato run, to a single word teased by a beguiling melisma—but it’s the choices behind these technical feats that are the real story. Everything is in the service of the narrative; the beauty of her instrument is guided by the shrewdness of her instincts—and her instincts are infallible. On tunes like “Sugar” and “This Will Make You Laugh,” her singing is hypnotic, because her affinity for the material is total. She doesn’t even offer a vocal wink when she sings the lyric, “I’m a very ordinary dame,” though it must’ve been a temptation; she trusts us to make the association, and get the joke, ourselves. I’ve often said that the difference between jazz and cabaret is that the former is about the music, the latter about the words; Dame has kicked that theory to the curb. She’s a throwback to a time—barely remembered now—when artists like Bobby Short and Mabel Mercer blurred the lines between the two genres. Dame, like them, reminds us that for a true singer it’s not about the words, or about the music: it’s about the song. 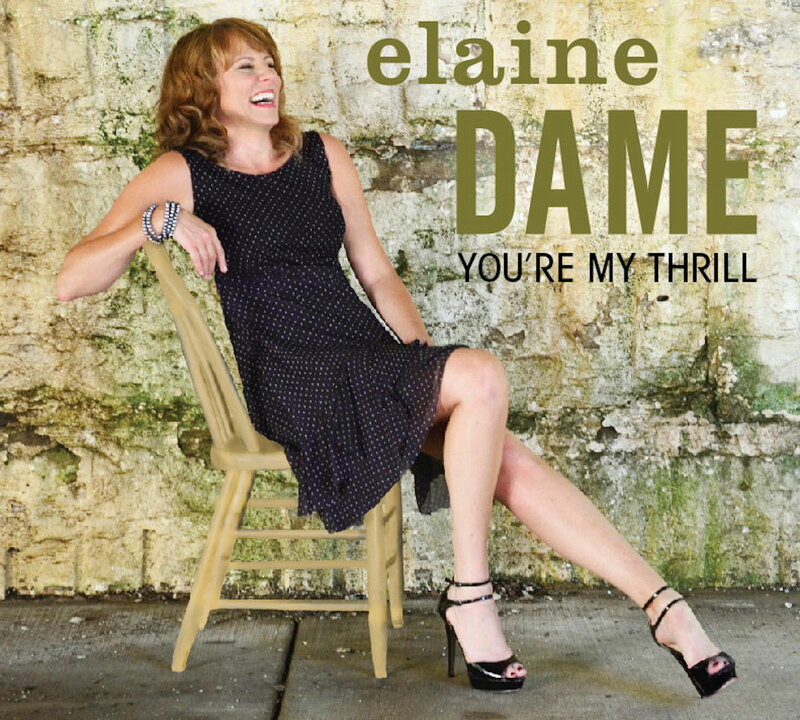 “You’re My Thrill” is available through the usual channels and on Elaine Dame’s website.